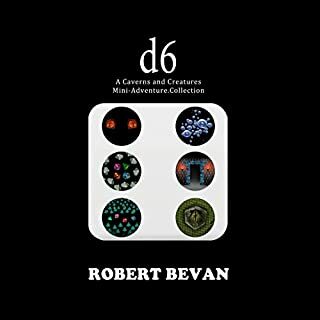 This is a collection of the first six short stories in the Caverns and Creatures series. 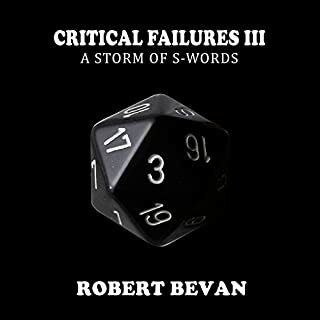 It includes "Cave of the Kobolds"; "Zombie Attack"; "Orcs, Bears, and Assholes"; "Shipfaced"; "Dungeon Crawl"; and "The Creep on the Borderlands". this made me want to dust off my old D&D books and start a campaign up. lots of detail to fill out the world. great performance from the narrator. Best book for DND and all of the things!!!!!!!!!!! 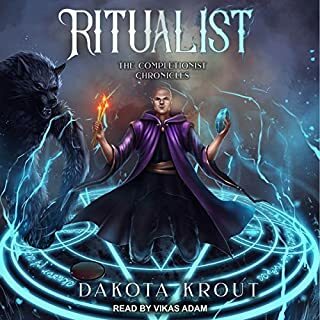 Over the years I’ve been listening to audiobooks I seem to always come back to this series when a new book is released and start from the beginning. If you are a fan of tabletop rpgs then you will relate to the humor in this book and the rest of the series. absolutely fantastic! 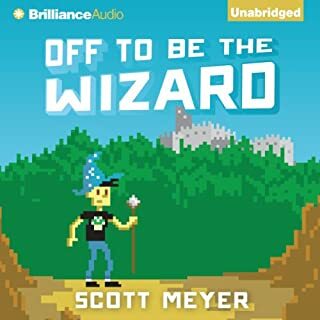 Great need humor, took me back a ways to my own adventures. I would recommend and already have! If you have a problem with base humor, you will want to pass this book up. I played Dungeons & Dragons when I was young, which is where Caverns & Creatures comes in without bothering a trademark. I would say all folks that enjoy MMORPGs would like the book but younger readers may not realize D & D is the predecessor of online fantasy gaming and will not find the humor of 20-sided dice and the pains of a dungeon master as funny as the older folks that played games before the Internet; however, C & C shares enough MMORPGs characteristics, especially since the characters are sucked inside the game, that fantasy gamers would enjoy this book almost as much. 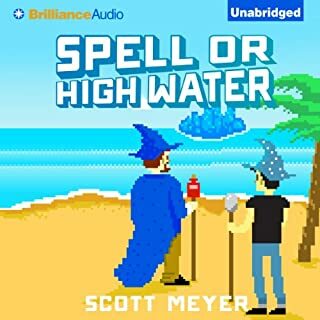 I emailed a request for the rest of the series to be put on audio. 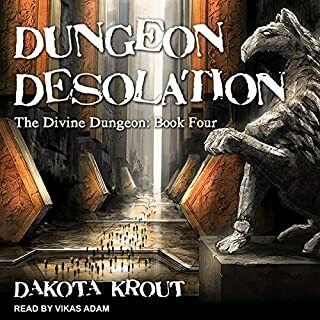 I don't think the audio version exists but there are a number of books. 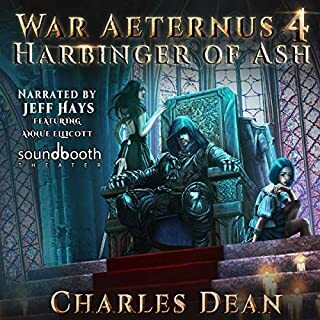 Maybe if I get enough votes here, audible will raise an eyebrow at how many people like it. I thought this book was very entertaining. Shakespeare it was not, but there was a nice coherent story with good character development. This will obviously appeal to people who have played games like D&D. I mean it references character sheets, charisma, random encounters, and rolling a 1, so there you go. It is not a 'gritty' book. There is much joking and bumbling along with the action. It goes pretty much how you would expect it to go if a bunch of casual gamers had to actually become their characters. Some of the content was kinda stereotypical, but I still think it was handled in a funny way. I enjoyed it. If you like gaming and don't take yourself too seriously, I think you will enjoy it too. The narrator was awesome. He did great with the different voices and characters and their expression. I enjoyed this book. I kept going back to it and finished it in a few days. That said, this has to be the dumbest group of people to ever get stuck in an alternate universe. They also swear, a lot. Nearly every other sentence has the f-word. If you can forgive those two things it's an entertaining book. 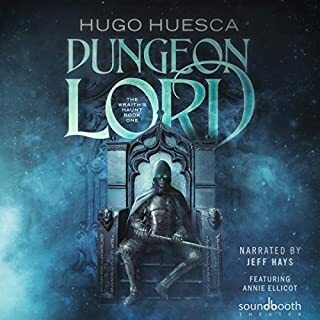 ATTENTION AUDIBLE: GET THE SEQUELS RECORDED--NOW! 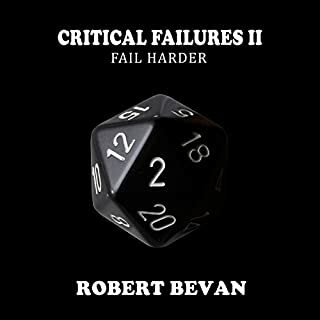 What did you love best about Critical Failures? It was different, engaging, and the characters were hysterically funny. 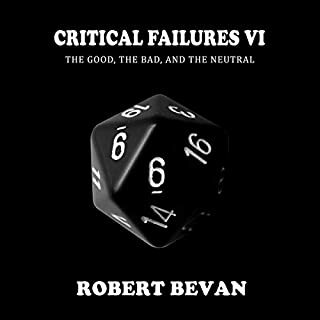 What was one of the most memorable moments of Critical Failures? The horse in the jail. Constantly laugh-out-loud. No crying. It was delightful. I'm not now, nor even have been, a teenaged boy. I am a 60 yr old female. I have never played Dungeons and Dragons, had only a vague idea what was involved in that game. 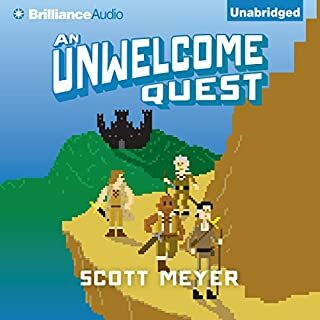 This book was a great introduction to that world, especially as one character was being introduced to it himself, and the story was fun, funny and a great listen with an excellent narrator. 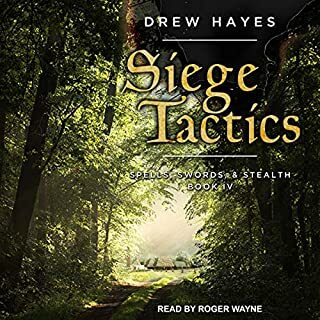 I immediately went to download the sequel, only to find it is NOT ON AUDIBLE. GRR. I will listen to/buy whatever else this guy writes, and I have already sent this book to a relative in hard copy, who also greatly enjoyed it. Yup. I liked it. Played on a car trip with the fam (older kids). Lots of cursing, and hilarious. Be prepared for a barrage of F-bombs. I wanted to love this story. 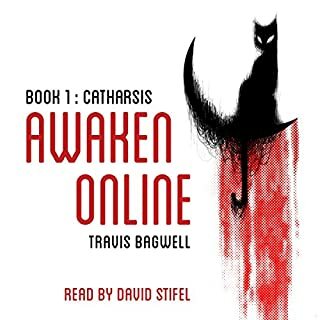 After devouring the four Alter World novels by D. Rus and becoming a true fan of the lit-MMORPG genre, I went right into this novel with high expectations and a readiness to enjoy a good story. What I got was fart jokes and characters that did not seem concerned at all that they were somehow transported into a DnD world. The premise of this book is fantastic. Where my review goes off track is how the stoner geniuses that are our characters in this story somehow hijacked the excellent writing and dropped the entire IQ of the narrative and storyline by 100 points. Again, the writing is well done and well delivered. However, the characters seemed to take over where the story went and made it all about in-fighting and commenting/describing snot consistently coming out of one of the characters orifaces. Great premise, NO SUBSTANCE. 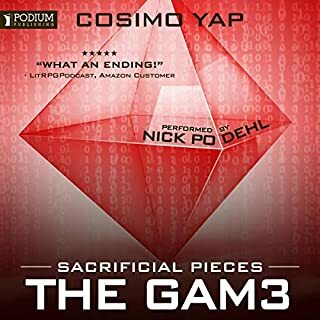 3 stars for good writing and high marks for a narrator that did an amazing job switching between the voices of many different characters. 0 stars to the characters that allowed the story to go nowhere. Where does Critical Failures rank among all the audiobooks you’ve listened to so far? I was listening to the book while working on the bench in the lab and I had to laugh out loud. People thought I am crazy and I actually had to stop listening for a while to get myself under control. The characters are carbon copies of my old RPG group from 20 years ago. I would tell you why but I don't want to spoil the moment. Have you listened to any of Jonathan Sleep’s other performances before? How does this one compare? I'm a big role player fan, and this brings the reality an fantasy together beautifully. I've wondered what would happen if you dropped real players into their characters and thus is an amazing answer. And a great beginning to a series. And the voice acting and narration makes it all more believable. 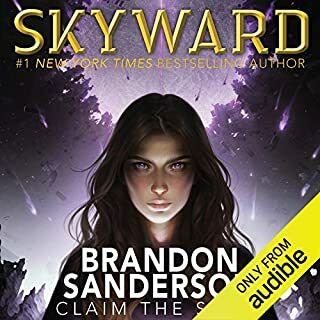 I have over 1200 audible books (hundreds of which are history) so this question is a bit odd for me to try to answer, I'll just say it's one of the most fun novels I've heard in a long while. Look I really liked the whole flow. All of the characters are unique and entertaining. I actually laughed out loud... I was wearing a Bluetooth headset so people stared at me... It was worth it. 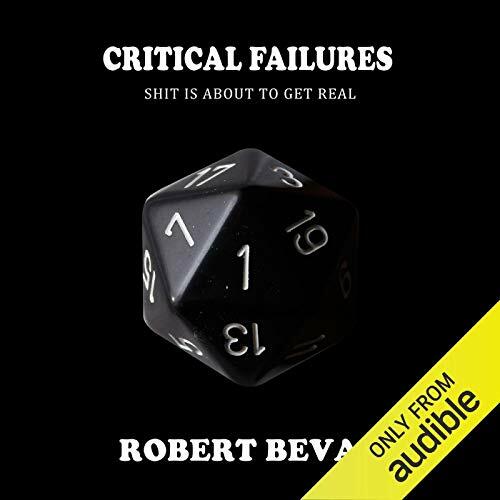 Seriously, audible needs Bevan's whole catelogue. I went from five Game of Thrones books back to back, to this - so I probably wasn't in the right headspace. 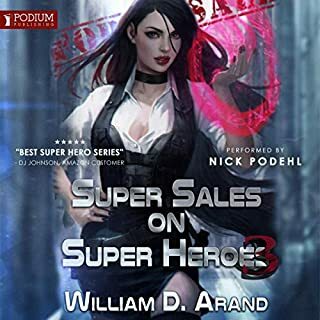 Was very interested in the concept, but the humor was so lowbrow it centered around bodily functions and high school level cursing just to curse. It felt like I was stuck listening to an uncensored Saturday morning cartoon.